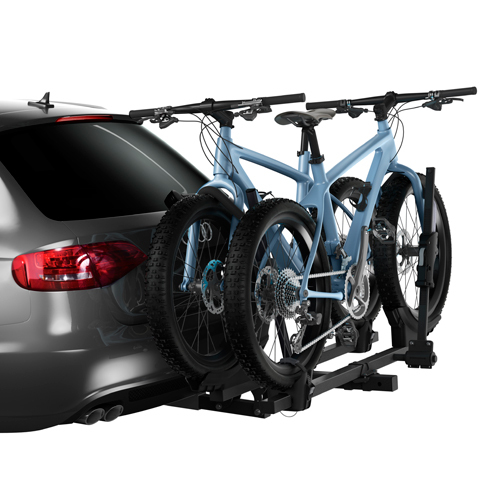 The Thule 9044 T2 Classic 2 Bike Platform Style Trailer Hitch Receiver Mounted Bicycle Rack is Thule's basic platform style hitch mounted bike rack. 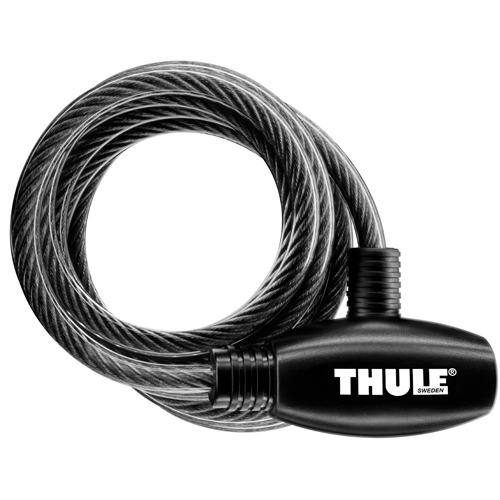 The Thule 9044 is designed to fit 2" trailer hitch receivers. 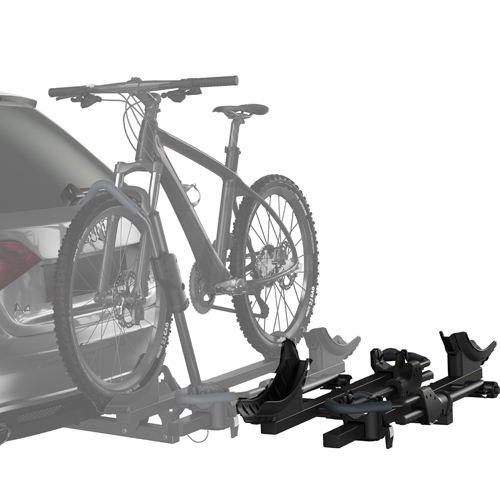 The Thule 9044 T2 Classic platform has Thule's fastest and most efficient bike loading and unloading design with minimal lifting. 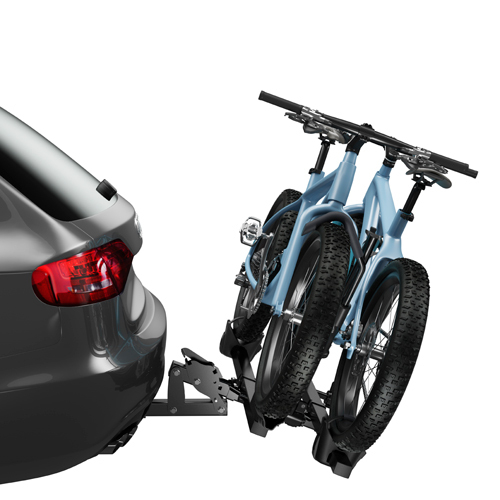 Thule's HitchSwitch lever allows convenient, full accessibility to the rear hatch of your vehicle by simply tilting the Thule T2 away from the vehicle - with or without the bikes loaded. 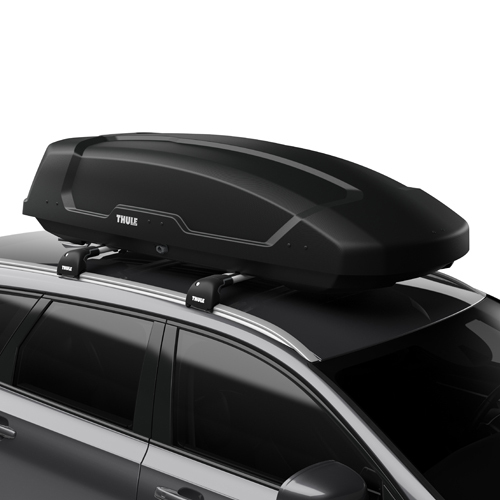 The Thule 9044 T2 can also be folded upward to reduce the profile of the rack and makes it easier to stow. Thule's Frame Free Ratcheting Hook Arm accommodates most bikes regardless of the frame design, suspension type, axle style or wheel size. 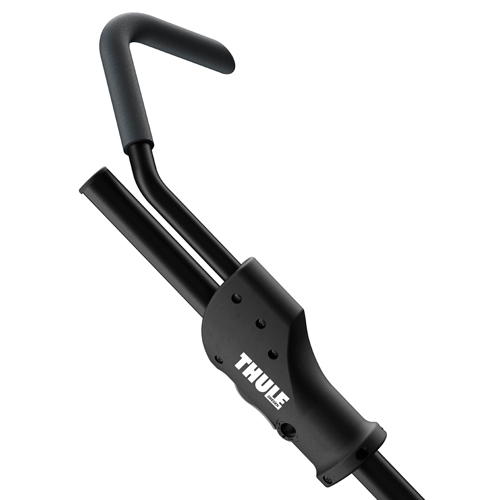 Thule 9044 T2's Frame Free Ratcheting Hook Arm does not contact your bike frame and will comfortably fit tire sizes ranging from 20" - 29" and up to 5" wide. 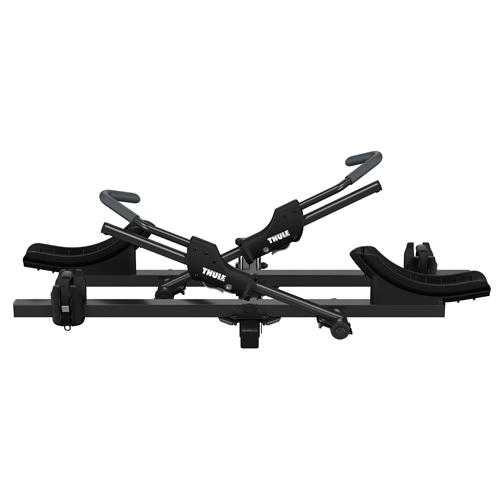 T2's adjustable wheel straps quickly secure your bike's back wheels to the tray. 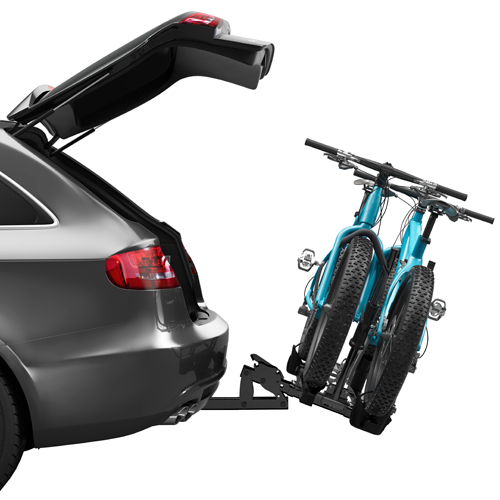 With the addition of Thule's 9046 T2 2 Bike Add-on Accessory (sold separately - see below), 2 additional bikes may be carried on the Thule 9044. 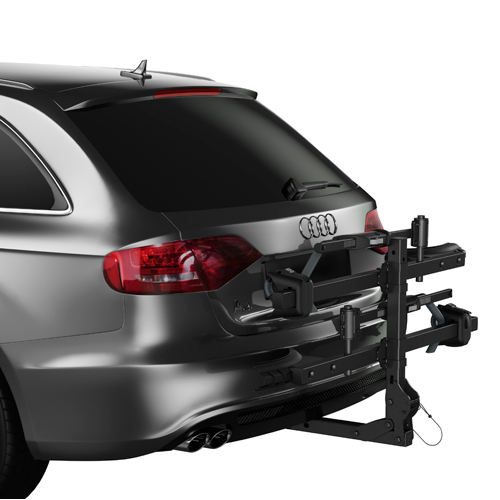 The Thule 9044 T2 includes the SnugTite Hitch Lock for locking the T2 to your vehicle. 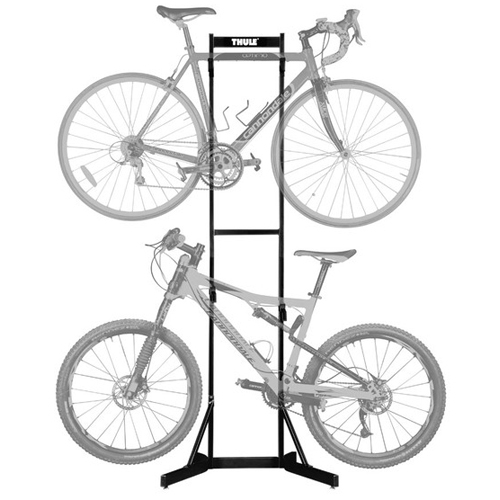 Please check this fit compatibility chart to ensure this bike rack is going to work with your particular hitch style - Thule Trailer Hitch Receiver Rack - Fit Tips Chart.